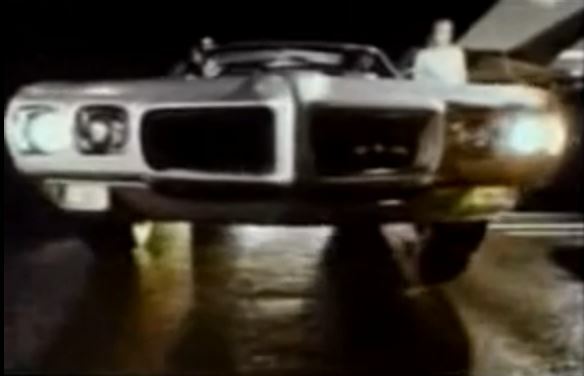 In this edition of the Muscle Car Time Machine, we look back at the infamous Pontiac GTO commercial broadcast during the 1970 Super Bowl. 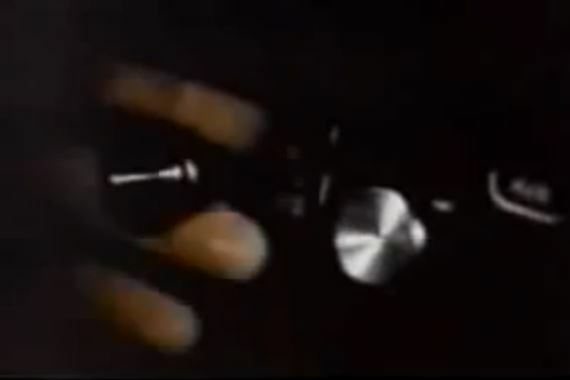 The commercial highlights the Vacuum Operated Exhaust (VOE) option that was available during a two month period from November 1969 until January 1970. This feature allowed the driver to open up baffles in the exhaust that reduced back pressure and increased performance when a knob under the dash was pulled. 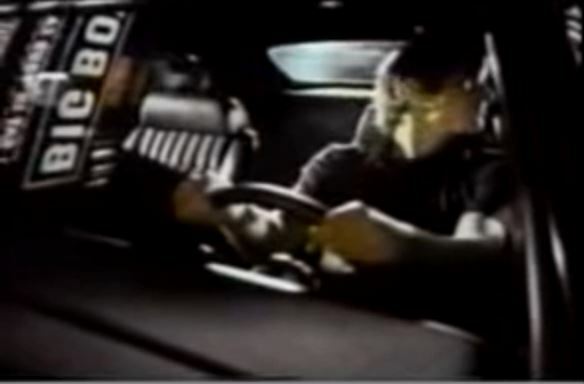 General Motors’ management saw the commercial and had the VOE pulled from the option list shortly after the commercial aired. This was due to increasing restrictions on emissions and noise levels being mandated by the government. They also did not allow the commercial to be shown again. Only 230 GTO’s left the factory with this rare option. Today, we turn back the clock January 11, 1970. Our destination is New Orleans, Louisiana for Super Bowl IV. Tonight the Minnesota Vikings (NFL) take on the Kansas City Chiefs (AFL). It is raining pretty hard so we hail a cab to Tulane Stadium a couple hours before the game. We need to get tickets and hope there are still some good seats available. Once we get there, we find that tickets for the game are sold out. And wouldn’t you know it, we can’t find a scalper anywhere in sight. Maybe we should have arrived a few days earlier. This shouldn’t be a problem. The bars on Bourbon Street are open late and we can watch the game there. We find a nice out of the way bar and settle in for a few drinks. We ask the bartender what time the game starts and he laughs. Unfortunately, blackout rules in both football leagues prohibit the live broadcast of the game in the Big Easy. I guess CBS stands for Can’t Broadcast Super Bowls. We quickly finish our beers and head back to the Time Machine. We have other ways to pick up the game. We just won’t say how. The game was pretty interesting. Even though the Vikings were favored to win, they lost 23–7 to the Chiefs. Glad I didn’t bet too much on the game. We need the money for something else. 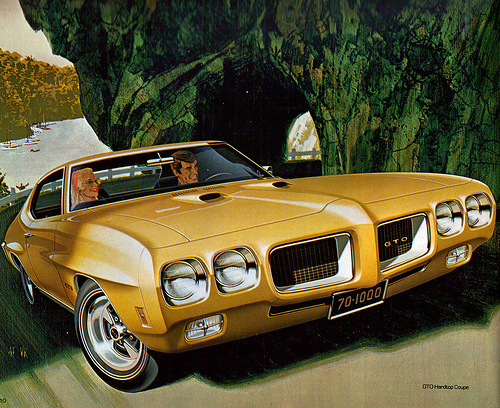 During the game, Pontiac shows a commercial for the 1970 GTO. The commercial shows a guy cruising through a drive-in restaurant taunting other drivers with his new machine. He reaches down and pulls a switch labeled Exhaust Mode under the dash and, like magic, the car comes to life. Other drivers cower as he drives past, not accepting his unsaid challenge to take him on. What in the world was that contraption that awakened the Tiger and made it roar? We’ll find out in the morning when we visit the local Pontiac dealer to place an order. Shortly after sunrise, we arrive at the dealership. Since it is so early, no one has arrived so we walk the lot to see what inventory they have. The lot is full of new Pontiacs, including the Firebird, Trans Am, and Grand Prix. They also have a few used GTO’s and an unsold Judge from 1969. We gaze through the windows of all the GTO’s but see none with the mysterious switch. That’s OK, we’ll find out more about it once the dealership opens for the day. About an hour after sunrise, we are met on the lot by one of the salesmen. He looks happy to see us since we are his first customers of the day. We tell him we are here to order a new GTO and his eyes light up. He invites us inside, gets us an order sheet, and brings a couple cups of fresh coffee. He leaves us to fill out the paperwork and tells us he’ll check on us in a few minutes. As we browse the options list, we check off the squares for the YS-code 400 cubic-inch engine, Formula steering wheel, power front disc brakes, and hood tachometer. We make another scan of the options list and finally find what we are looking for. We check off option code W73 for the Vacuum Operated Exhaust (VOE). This is the very item that was advertised in the commercial the night before. And best of all, it only costs $63.19. 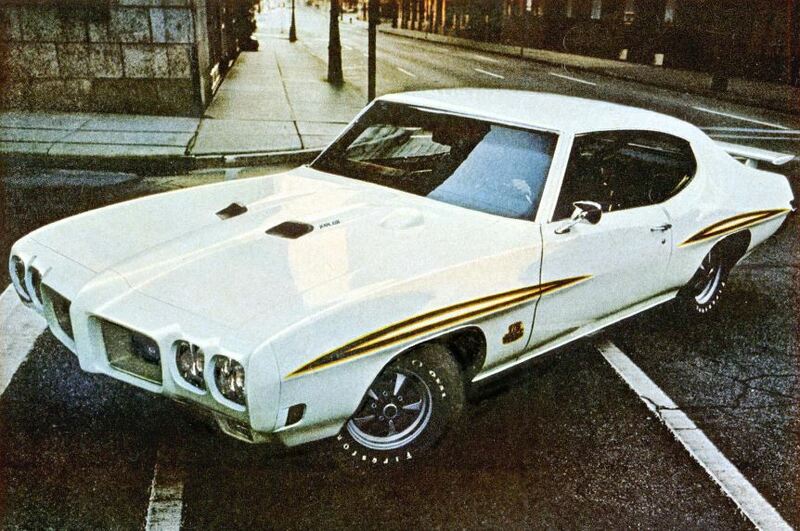 After a quick scan of the options list, we determine we have left nothing out and have created the perfect GTO. Our salesman comes by and asks us to follow him to his office. He refills our coffee cups and scans the options list. “Are you sure you don’t want the 8-track player?”, he asks. We say yes. It must have been overlooked while we were filling out the form. We definitely want that so we can listen to Steppenwolf and the Stones while we’re cruising the local hangouts. He then goes to place the order for our new car. After a few minutes, he returns to the office with a forlorn look on his face. He sits down at his desk and delivers the news. General Motors’ upper management saw the commercial during the game and immediately cancelled the VOE option. With the federal government imposing restrictions on emissions and noise levels, GM felt this would be a strike against them and axed the option. The news is quite a blow since we really had our hearts set on this car. How much worse can this trip get? First we lose out on the game and now the car. However, not all is lost. The salesman has a friend who is a mechanic at a dealership a couple hours away. “Let me make a call”, the salesman says as he springs to life. He picks up the rotary phone at his desk and dials the number. He tells his friend the story about the VOE being cancelled and they make other small talk. Finally, the salesman looks up and says “He’s running out to the lot to check and see if they have something close to what you are looking for”. We wait for what seems like hours, the anticipation making our hearts race as we wait for the mechanic to pick up the line. “You do?”, the salesman says with a gleam in his eye. “You have a car like the customer wants? That’s great, I will let them know”. As he hangs up the phone, the salesman tells us the other dealer has a similar car, but without a couple of the options we wanted. That’s OK, we can live without the Formula steering wheel and remote mirror. Our salesman glances at his watch and says “You better leave now so you can get there fast”. Pontiac may decide not to sell cars left on the lot with the VOE option.” We ask what we can do for the salesman since he was so kind to help us out. “That’s OK”, he says, “my friend owes me a favor for this one. Ask for John when you get there.” We shake hands with him and then dash to the Time Machine. Baton Rouge, he we come. Once we get to the dealership in Baton Rouge, we find John and he puts us in touch with a salesman. We settle on a price and fill out all the necessary paperwork. We ask how a car for sale on the lot wound up with the VOE option. He explains it was special ordered by a customer and he wasn’t able to take delivery. His Army unit was deployed to Viet Nam and he does not know when he will be back. We felt badly for the soldier but we are grateful for the opportunity to get the car. After about an hour, we drive off the lot and hit the highway. Of course, we take the scenic route so we can try out the car. Needless to say, the car performs like it should and we spend the rest of the day driving it. Ironically, that night we find a drive-in much like the one in the Pontiac commercial. We can’t help but activating the VOE, rev the engine, and watch other driver’s make faces much like those in the commercial. We stop to pick up some burgers before we head back to the Time Machine. A couple locals come by and ask about the car. They have a 1970 Chevrolet Chevelle SS396 and we are tempted to challenge them to a race but decide otherwise. It is getting late and we’re ready to head back to the present. Once we load the car, we set the Time Machine’s clock back to the present. We are glad to be back home in our own time but had a blast in the past with the GTO. We can’t wait for our next adventure.